Sarah Menkedick spent her twenties trekking alone across South America, teaching English to recalcitrant teenagers on Reunion Island, picking grapes in France and camping on the Mongolian grasslands; for her, meaning and purpose were to be found on the road, in flight from the ordinary. Yet the biggest and most transformative adventure of her life might be one she never anticipated: at 31, she moves into a tiny 19th-century cabin on her family's Ohio farm, and begins the journey into motherhood. 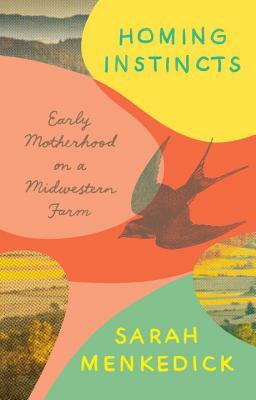 In eight vivid and boldly questioning essays, Menkedick explores the luminous, disorienting time just before and after becoming a mother. As she reacquaints herself with the subtle landscapes of the Midwest, and adjusts to the often surprising physicality of pregnancy, she ruminates on what this new stage of life means for her long-held concepts of self, settling, and creative fulfillment. In “Millie, Mildred, Grandma Menkedick,” she considers the nature of story through the life of her tough German grandmother, who raised two boys as a single mother in the 1950s and then spent her seventies traveling the world with her best friend Marge; in “Motherland,” on a trip back to Oaxaca, Mexico to visit her husband’s family, she finally embraces her Midwestern roots; in “The Milk Cave,” she discovers in breastfeeding a new appreciation for the spiritual and artistic potential of boredom; and in “The Lake,” she revisits her childhood with her father, whose relentless optimism and mystical streak she sees anew once she has a child of her own. A story of a traveler come home to the farm; of becoming a mother in spite of reservations and doubt; and of learning to appreciate the power and beauty of the quotidian, Homing Instincts speaks to the deepest concerns and hopes of a generation. SARAH MENKEDICK's work has been featured in Harper's, Pacific Standard, Oxford American, Aeon, Guernica, The Paris Review Daily, and elsewhere. She holds an MFA in nonfiction from the University of Pittsburgh, and she was a 2015-2016 Fulbright fellow in Mexico. Sarah is the founder of Vela, an online magazine of nonfiction writing by women.